Roy Holdway age 85 of Washburn, born February 8, 1932 went home to be with the Lord Sunday, September 3, 2017 after a lingering illness. 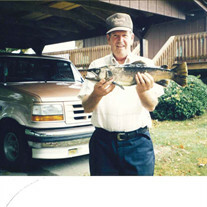 He was a member of Central View American Christian Church, was retired from Coffman Oil Company of Morristown, Tennessee, and his hobbies were trout fishing and camping. He was preceded in death by his parents, Rosa and John Holdway; son, Dwight Holdway; brothers, Bruce, Herman, Eddie, and Jerry Holdway; and sister, Ruby Holdway Sinard. Survivors include his loving wife of 33 years, Brenda; brother, Gale (Janet) Holdway; daughters, Nancy (Sam) Godwin, Kathryn (Gordon) Trawick, Debbie (Mark) Killion; son, Jeffrey (Savona) Coffey; grandchildren, Missy (Brad) Smith, Caitlin Godwin, Sarah (Jeremy) Loveall, Michael (Kristin) Dees, Rachel Dees, Matthew Trawick, Clint Holdway, Dearra Wolfe, Ashley, Dean, and Hailey Coffey, and special granddaughter, Jaydin Coffey, Dylan (Haley) McNally; great grandchildren, Hunter, Braden, and Molly Smith, Harper Knight, Beau Ryan, Brighton and Noah Dees, Jordan and Mackenzie Holdway. At Roy's request, family and friends will meet at Grainger Memorial Gardens, Rutledge, Tennessee, at 12:45 P.M. for a 1:00 P.M. for a graveside service with military honors, Tuesday, September 5, 2017. Rev. Jerry Epperson will be officiating. Serving as pallbearers will be Gene Simmons, Clayton Gulley, Dewayne Lay, Sam Godwin, Gordon Trawick, and Matthew Trawick. In lieu of flowers, the family suggests contributions to the Cancer Charity of your choice. 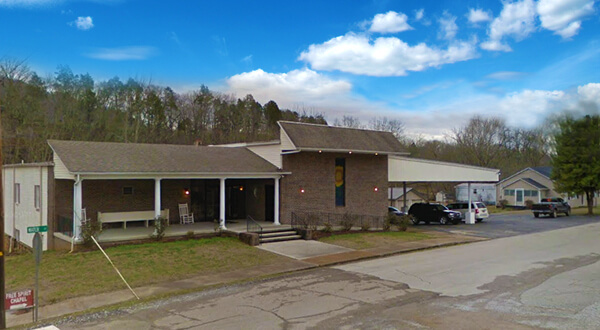 Smith-Reagan Funeral Home of Rutledge in charge of arrangements.